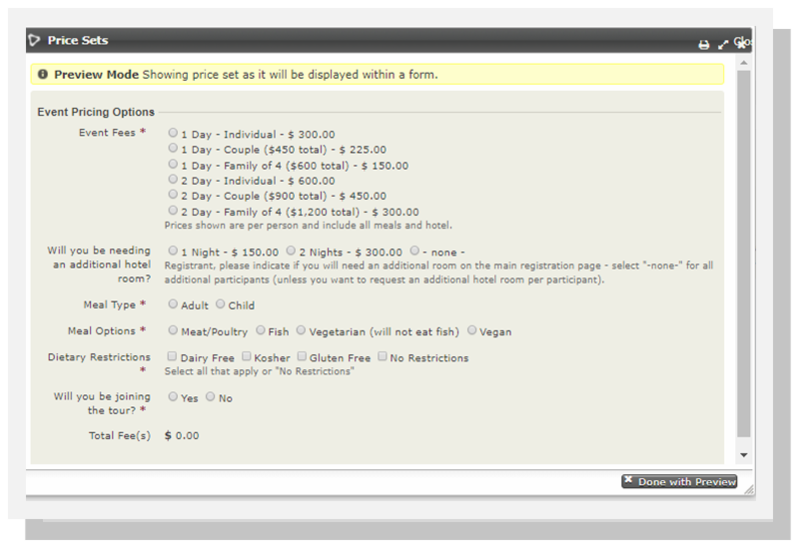 Home » Blogs » tamarmeir's blog » Did you know that CiviCRM can handle really complex event pricing options? The best way to offer reduced pricing for family or group registrations and to greatly simplify reporting is to use a Price Set as opposed to the Regular Fees section in the event configuration registration. 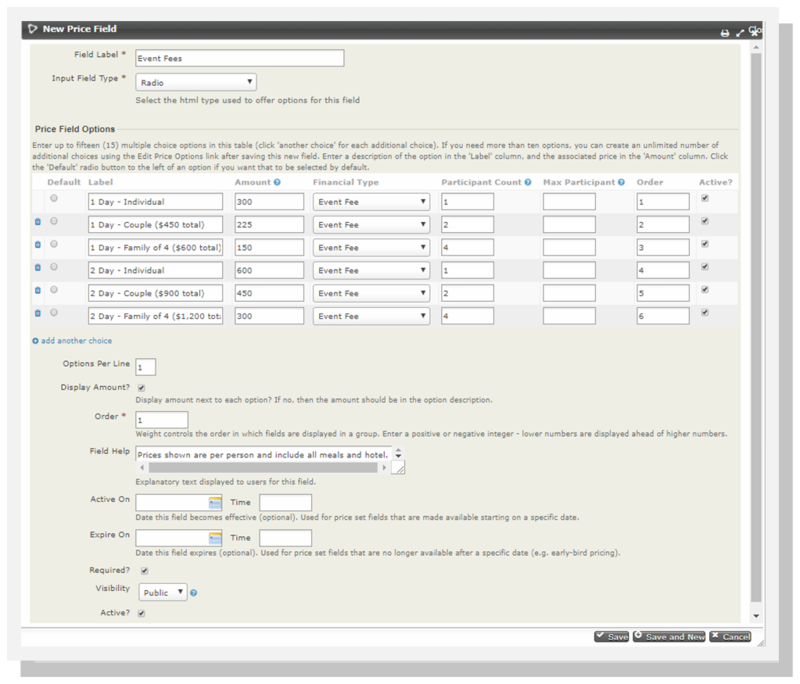 It is very important to publish your event with all price set options configured - while it is easy enough to disable or include a price field option after publication, updating any registrations made before the update can get extremely messy!